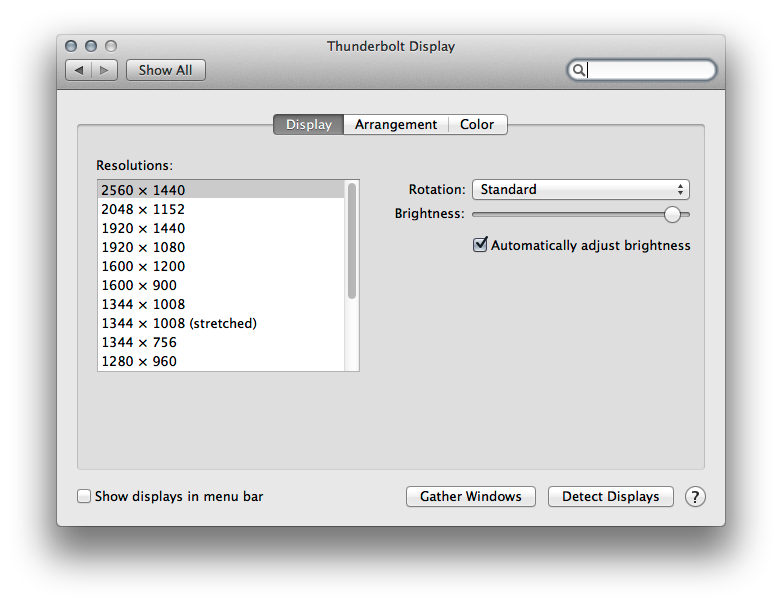 Learn how to use multiple displays with your Mac, with video mirroring or extended desktop. 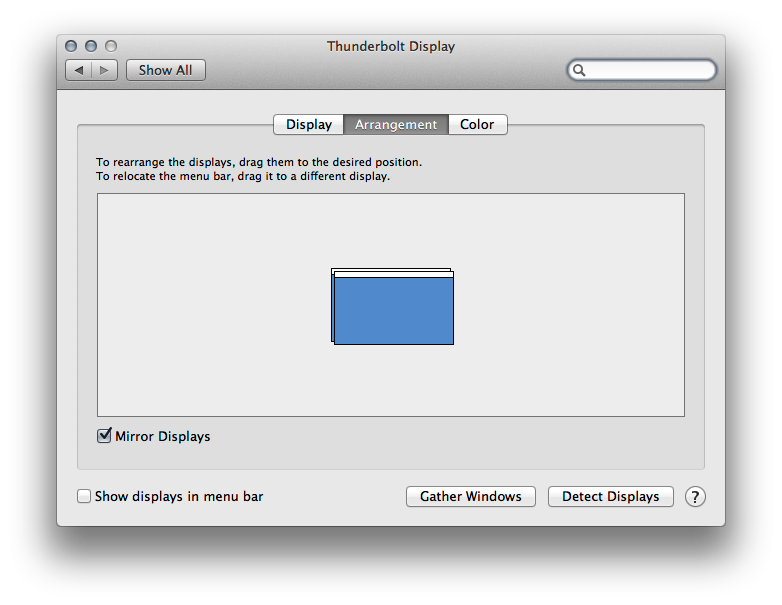 When connecting external displays to your Mac, you have three options for configuring the displays: Video mirroring, extended desktop, and closed lid. Mirroring displays the same image on each display. Make sure your additional display is properly connected and powered on. Enable (check) "Mirror Displays" in the bottom-left corner. In the example below. the blue boxes represent each display that is connected. The white bar at the top of both boxes represents your menu bar and is shown on both displays when they are showing the same information. 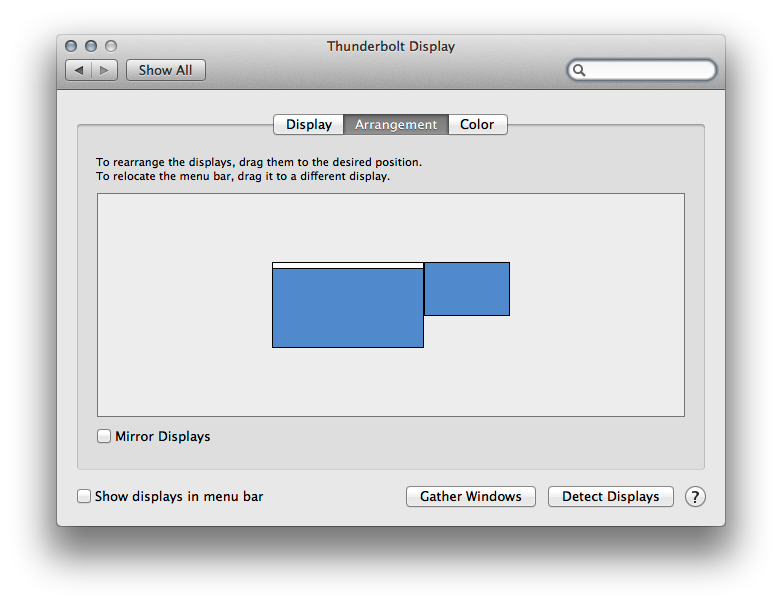 When mirroring, your Mac attempts to match the closest resolution between the primary (or built-in) and secondary displays. 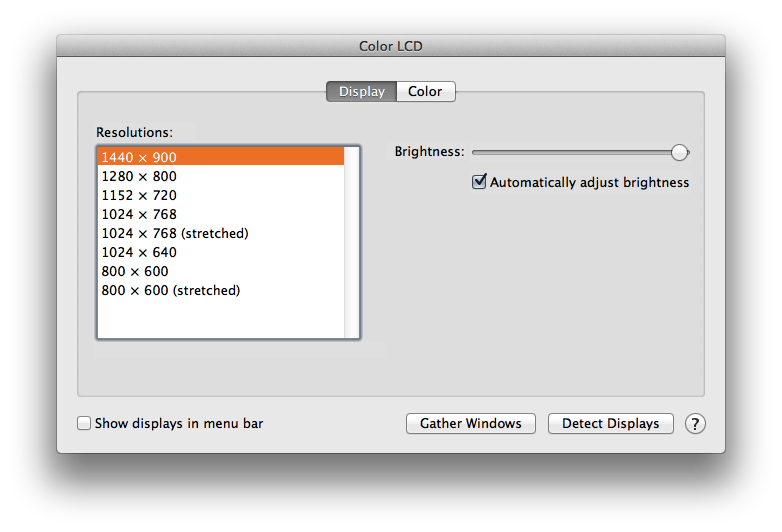 The usable resolution is the closest matching resolution for both the primary and secondary display. If you choose a resolution that is not supported on both displays, OS X reverts to using the closest matching resolution.